Gadacz, René R.. "Mukluk". The Canadian Encyclopedia, 28 September 2016, Historica Canada. 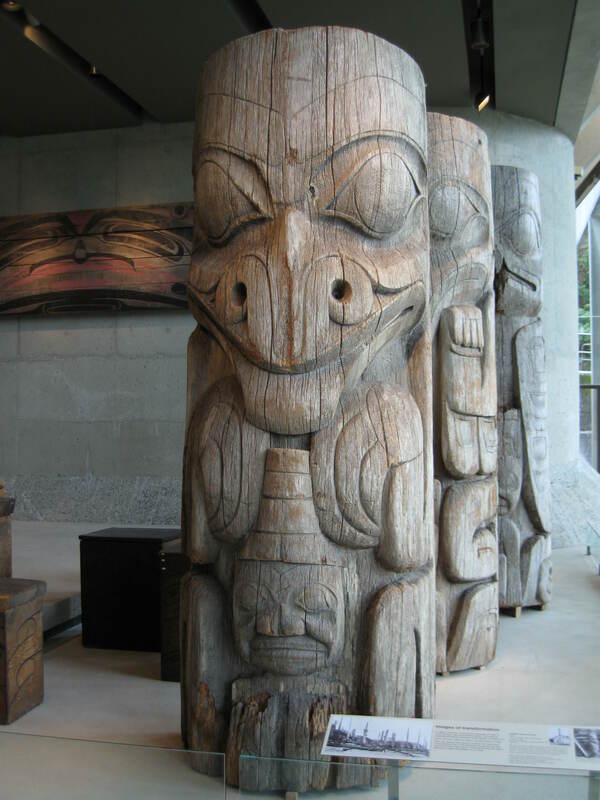 https://www.thecanadianencyclopedia.ca/en/article/mukluk. Accessed 20 April 2019. 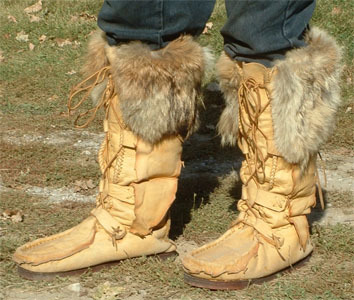 Mukluks are soft hide boots designed by Inuit peoples for manoeuvrability and warmth in northern environments. The term mukluk comes from the Yupik word maklak, meaning “bearded seal” — a key animal source for Aboriginal clothing in the North. Mukluks are watertight boots of Inuit manufacture, suitable for walking on the tundra. The sole is made of sealskin and is sewn to tops of caribou skin. Sinew thread used in a blind stitch passing only halfway through the skin makes watertight seams. In winter and in cold weather, several pairs are worn simultaneously. During the 17th century, European explorers and fur traders adopted mukluks for survival in the Canadian wilderness. 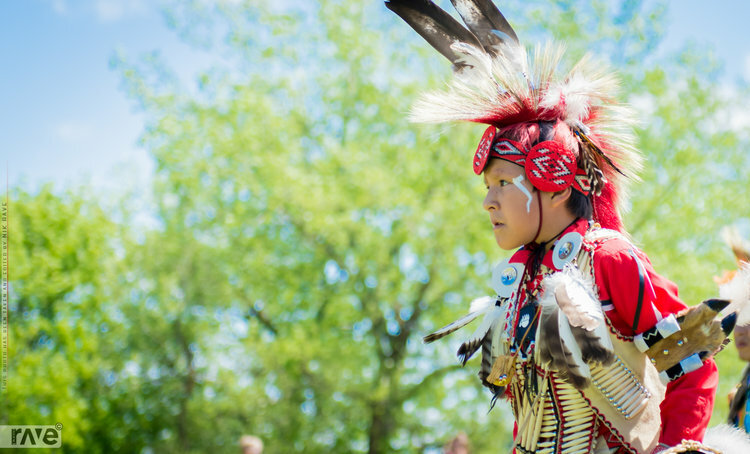 Their arrival influenced Aboriginal crafting techniques by introducing new materials, sewing techniques and styles into traditional clothing. Mukluk designs increasingly featured tassels, beading patterns and other embellishments that became customary overtime. Traditional mukluks are still produced, although modern styles often feature rubber soles as another means of protection from wet weather. 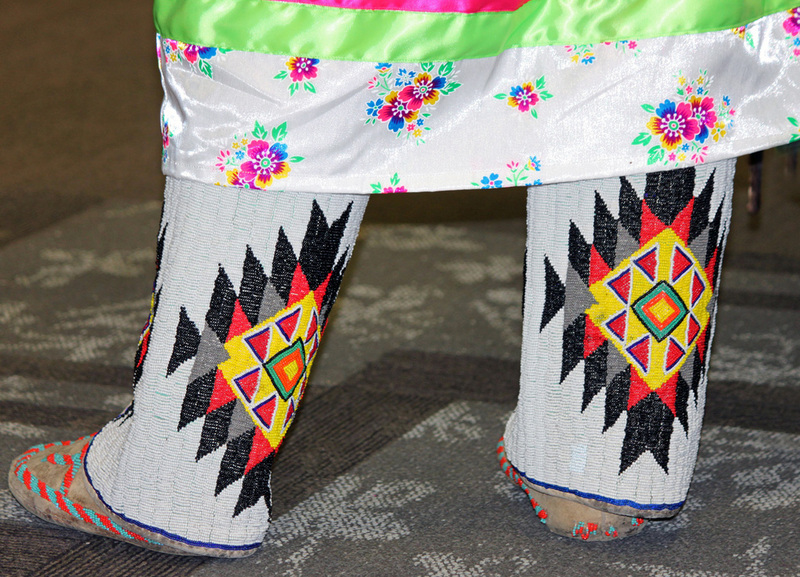 In addition to their practical function, mukluks can be seen as pieces of art.